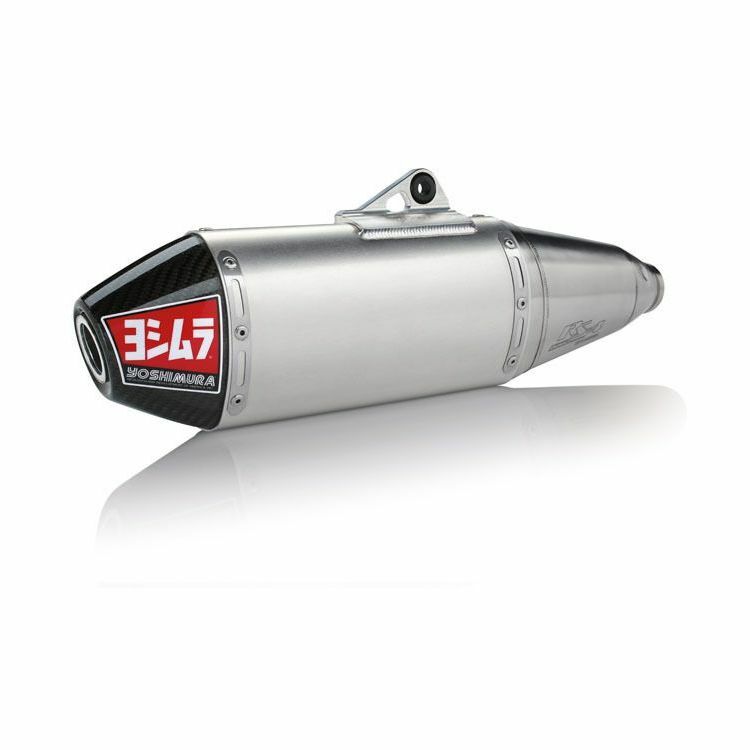 The work that went into developing the Yoshimura RS-4 Exhaust System design paid big dividends in 2010 with Ryan Dungey winning the AMA 450 Supercross and Motocross Championship series as a rookie in the same year, and again in 2012 with the Yoshimura-backed GEICO Honda team winning both 250 Supercross Lites titles. That same R&D has been directed to developing the current generation RS-4 — a unique design that provides an unrivaled combination of power and a quiet exhaust note. The RS-4 features a Polyresonant duplex chamber, a two-staged stepped baffle and an innovative carbon cone end cap.